During the Super Bowl this past weekend, Disney debuted a new TV spot/trailer thing for their mysterious upcoming adventure Tomorrowland, but that’s not all they’ve unveiled. It’s only a small crack, but they’re opening up the Mystery Box a wee bit, and a couple of new stills and a fancy new interactive website have crept out. 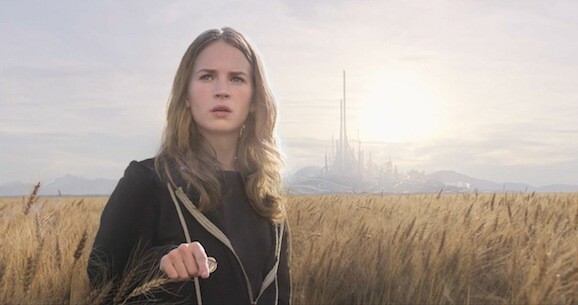 We don’t know much about Tomorrowland, but as we understand it, the story revolves round Casey (Britt Robertson), a young girl with a bright scientific mind. When her destiny becomes entangled with Frank (George Clooney), a former boy genius who is now bitter and jaded, they unearth secret details of a place called Tomorrowland that exists somewhere out in space and time, and their journey will change both of them, and the entire world, forever. There promises to be no shortage of action, adventure, and wonder going down before the credits roll. While Disney’s upcoming Star Wars: The Force Awakens, and really everything Star Wars related, is shrouded in secrecy, it’s not the only mysterious feature the House of Mouse has in the works. Well before we lay eyes on J.J. Abrams’ adventures in that galaxy far, far away, director Brad Bird will take us to Tomorrowland. A new TV spot premiered during the Super Bowl yesterday, and while it doesn’t offer much in the way of concrete detail, it certainly does capture your imagination. Enigmatic, but engaging, everything we’ve seen thus far from Tomorrowland promises big ideas, sweeping adventure, and George Clooney’s smooth, soothing voice. This includes our latest look at the Mission: Impossible—Ghost Protocol director’s singular vision. 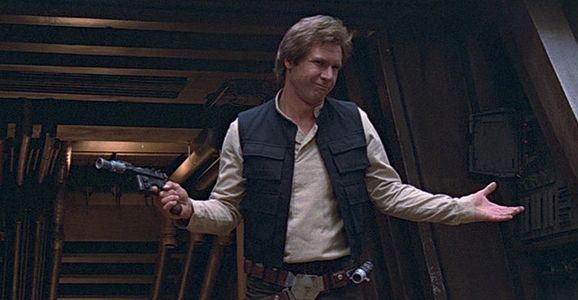 The more we see from the film, the more questions there seem to be. 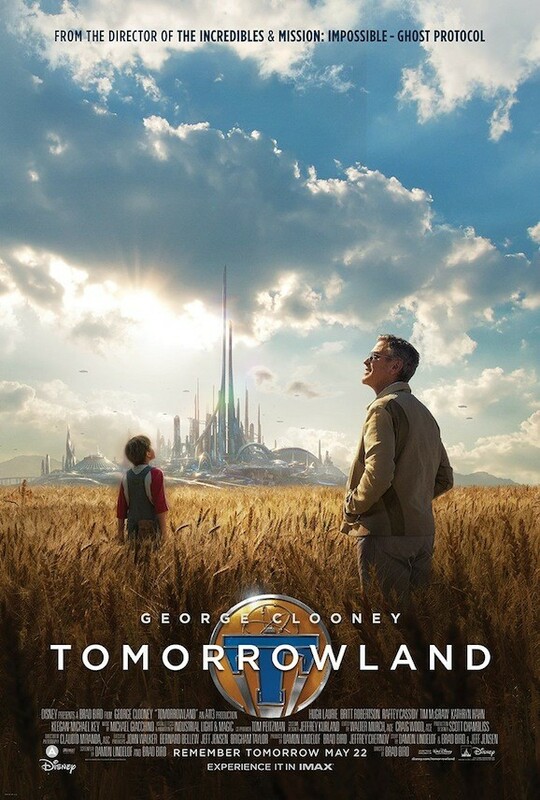 One of the 2015 movies that we’re super excited for, yet know almost nothing tangible about, is Disney’s Tomorrowland. We know that the film played a big factor in director Brad Bird not helming Star Wars: The Force Awakens, which seems like a pretty big deal, and though we’ve just seen the teasiest of teaser trailers, it looks mysterious and full of adventure. We’ll get another good look at the film during the Super Bowl on Sunday, and because this is the world we live in, we’ve got a quick look at this upcoming quick look. In recent days, the Super Bowl has become the de facto marketing kick off for the upcoming slate of summer blockbusters (and as we all know, according to the studios, summer now runs from March or April to the first week of August). We know that we’re going to get fresh new looks at Jurassic World, Furious 7, Ted 2, Insurgent, and likely many more, including Tomorrowland.